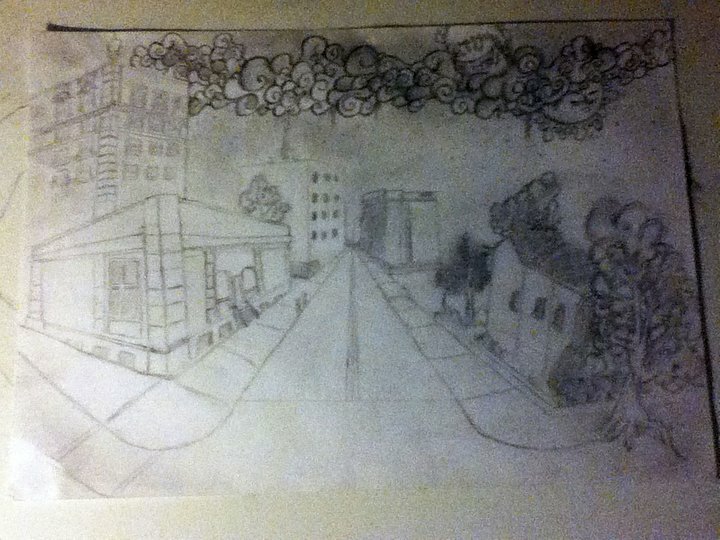 an old city drawing i did showing perspective (1 point almost 2 point) and adding the graffiti style to it gave it that originality but as the road goes off into the distance it disappears and vanishes. Which is known as the “Vanishing point” thats where the “Point” in 1 point and 2 point perspective comes from. When i’m the creative mode like this im working hard on getting the littlest details in my pieces or right sounds in my music. Radikal Nations “DGAF the album” is also on Itunes, Spotify and Amazon for listen download and purchase! be sure to check it out if you get the chance!